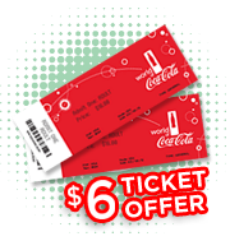 A special $6.00 General Admission ticket to the World of Coca-Cola is available for the first 600 guests for purchase at walk-up ticket windows beginning at 9 am on May 24, 2013 only. Regular General Admission ticket prices will apply following the 600th guest. 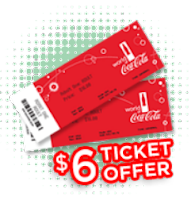 Limit of five (5) special $6 tickets per guest. $6.00 ticket is valid for one entry only. $6.00 tickets are not available for purchase online. Gates to Pemberton Place will open at 8:00 am on May 24th. Special $6.00 tickets are not valid for entry on any other date or time. 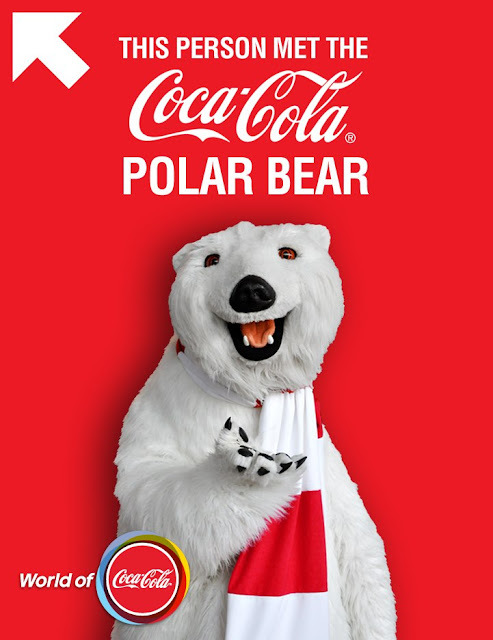 This offer is not valid with any other offers. This offer is not valid for any other special/joint ticket offers.